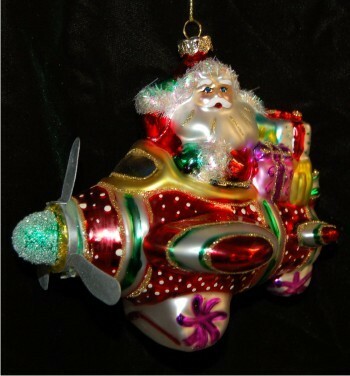 Light up a little boy or girl's face with this one-of-a-kind Santa airplane. Each unique piece is hand blown and hand painted, destined to become one of those few ornaments a child remembers as an adult. Truly a special gift, we will personalize the airplane with a child's name and the year.